Come Visit Us at North Housing Fair this Saturday! The Minneapolis Promise Zone will be attending the North Housing Fair to share housing information and resources for the residents of North Minneapolis. The Northside Housing Fair is your one-stop-shop for all your housing needs, whether you're a renter, a homeowner, or anything in between. There will be housing resources from contractors to financing opportunities, housing organizations to renter resources, neighborhood organizations, community groups and more. Lunch will be provided, and it is also a free event. 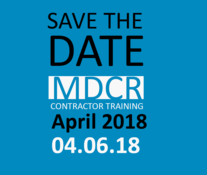 Save the date for our upcoming General Contractor Training. We will be covering City of Minneapolis SUBP Compliance, Prevailing Wages, and have a panel of speakers in the industry to go over workforce goals/strategies. Coffee and a light breakfast/refreshments will be served. Your home is likely brimming with opportunities to help you save money on your energy bills. And if you don’t want to spend time installing new energy-efficient equipment yourself, we’ve got a solution. Whether it’s swapping out old light bulbs for new energy-efficient LEDs, upgrading your showerhead, installing a programmable thermostat, or weather stripping your doors and checking for air leaks, our Home Energy Squad can do it all, and more. Free visits are available to income-qualifying households. Tech training and good job opportunities should be accessible to everyone. That's why Google is providing full financial assistance for qualified US residents. Our deadline was February 20th, 2018, but we have extended that deadline to serve more learners! Seats are limited so apply today. Upon receipt of award, learners have 14 days to enroll and will have access to the program through May 8th, 2019. Seats are limited. The EMS Pathways Academy Student Internship Program is helping the Minneapolis Fire Department and Hennepin EMS workforce to better reflect the community they serve. The first class of graduates included 91% people of color and was over 50% female. Obtaining your Emergency Medical Technician (EMT) certification opens the door to many career paths. This is a rapidly expanding field and as more jobs for EMTs are created, it is necessary to fill these positions with qualified candidates that reflect the multilingual and culturally diverse communities we serve. 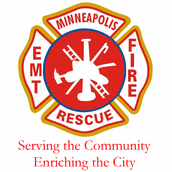 Graduates of this program have been successfully hired as Minneapolis Firefighters, dispatchers with Hennepin EMS and some are continuing their training to become Paramedics. Build organizations whose leadership is reflection of the community. Neighborhoods Now! offers four different classes that are each a day long. Course participants are expected to attend all four of the day-long classes, with follow-up think-tank sessions with your fellow class organizers, a planned field action, guest speakers, and a graduation. During the entirety of the course and your new connection to CURA’s Neighborhood Organizing and Leadership Program, participants will have access to 1-2-1 assistance from CURA staff. Sat, March 24, 10 a.m. - 3 p.m. Wed, March 28, 5-7 p.m.